A stand of tulips on my back hillside. 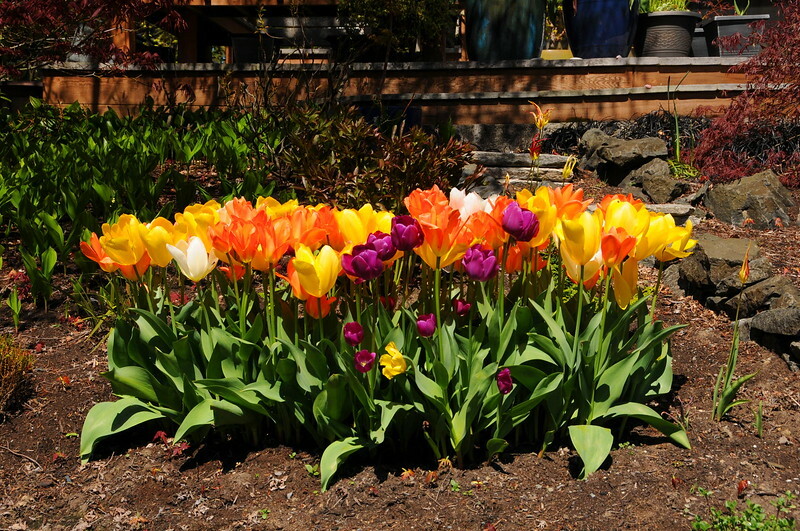 I buy these tulips as collections from a website called Colorblends. This collection is called 'Stop the Car' with some additional orange tulips added.